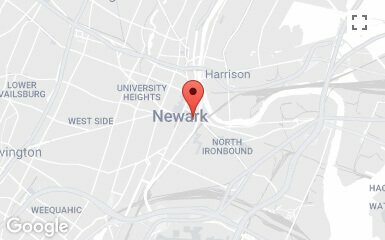 How do I Prove or Dispute Accusations of Domestic Violence in New Jersey? Being involved in a domestic violence case in New Jersey means you are either trying to prove you are a victim of abuse or attempting to show that the person who filed the restraining order against you is lying. In these situations, one of main questions is: how do I prove my side of the story? When it comes down to it, most domestic violence cases start with a “he said, she said” scenario. However, the law requires more than that to make a determination regarding domestic violence. Here we take a look at the prevailing ways to prove or disprove domestic violence accusations in NJ. For additional information, contact our NJ domestic violence attorneys and get specific answers to your questions. We provide confidential, free consultations so don’t hesitate to reach out. Domestic Violence is a criminal act committed against a person you share some form of a domestic relationship with such as, a spouse, partner, child, or household member. Not every type of criminal offense would be considered domestic violence. In fact, The Prevention of Domestic Violence Act lists the exact offenses that apply. The type of offenses that generally qualify are assault, stalking, terroristic threats, criminal mischief, trespass, or harassment. Please note, a single criminal act is generally not enough for a restraining order to be issued. Before an order of protection can be entered, the trial judge must make two findings: they must be convinced that an underlying act of domestic violence was committed, and there is a need for protection. What is a Need for Protection? In addition to a finding that an underlying act was committed, the Court also needs to be convinced that there is an ongoing threat to the victim. That the defendant’s conduct is reoccurring and unless an order of protection is entered, the victim will continue to be subject to abuse. Accordingly, when trying a domestic violence case, the plaintiff wants to introduce evidence that will prove that one of the criminal offenses was committed and his or her conduct will reoccur unless a restraining order is put into place. Conversely, the defendant wants to present evidence that will disprove that he or she committed an offense and furthermore, there is not a pattern of threats or abuse. 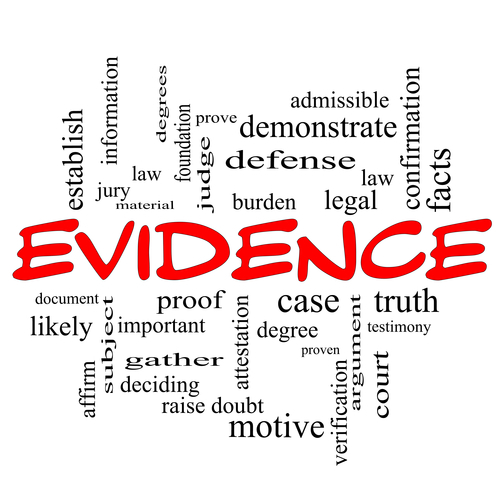 The most common type of relevant evidence in a restraining order hearing are the party’s own statements. Evidence such as text messages, emails, and voicemails are very relevant to either proving or disproving that domestic violence exists. 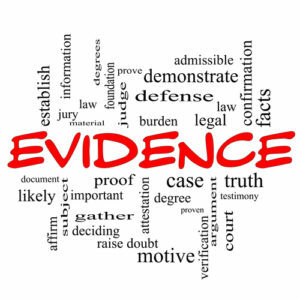 Evidence is considered relevant if it can prove or disprove any fact of consequence. In the context of a restraining order hearing, a fact of consequence is any fact that helps show that an act or acts of domestic violence was committed. The most common complaint the court sees when addressing domestic violence is harassment. Harassment can briefly be described as an alarming communication or course of conduct that annoyed the plaintiff and was either said or committed with the intent to harass. Accordingly, if you are the plaintiff, you want to present evidence that shows what the defendant said or did that was harassing. Moreover, you also want to show there is an ongoing pattern of harassing communications or conduct. Some common forms of relevant evidence to help show harassment are text messages, emails, and voicemails. The documented communications may show that the defendant harassed the plaintiff by sending insulting or threatening messages. Also, if the plaintiff can bring to court a series of messages, the volume of the communications can help prove to the court that there is an ongoing pattern of harassing conduct. On the other side, text messages, emails, and voicemails can help disprove the the plaintiff’s case. The messages that the plaintiff claim to be harassing may not be alarming or annoying in nature. Further, the messages may have been sent for a non-harassing purpose such as to communicate about child care issues or visitation. Additionally, the plaintiff may have messaged the defendant and as a result, it can be shown that the plaintiff was not threatened or annoyed by the defendant. Another frequent form of relevant evidence admitted during restraining order hearings are pictures and recordings of the parties. Because the overwhelming majority of people own smart phones, it is very easy to record others. As such, it is common for individuals to film a partner during the heat of an argument. Moreover, if there was a physical act of violence resulting in a visible injury, the injured party can easily take a picture of the mark or bruise and present the photograph to the Court. Pictures and Recordings can be very helpful pieces of evidence to show that an assault occurred or personal property was broken. Further, it can also be used to show there is a pattern of abuse. Conversely, if you are a defendant, pictures and recordings can help shed light on what really occurred. The plaintiff may testify that she suffered a serious injury or her personal belongings were destroyed. However, a picture or video can show the judge what really happened. It can easily demonstrate that the plaintiff is exaggerating and may even show that the plaintiff is the one that was violent and destroyed property. Often, when the victim seeks medical treatment at a hospital, they will take pictures to show the extent of the injuries, which can then be presented as evidence. Trying to handle domestic violence court proceedings on your own is not advisable, as the complicated nature of evidence and burden of proof can lead to a negative outcome simply due to lack of understanding. If you are searching for legal assistance in order to get a restraining order or you need assistance to defend against a claim of domestic violence in New Jersey, your case will be best handled by an experienced domestic violence attorney. 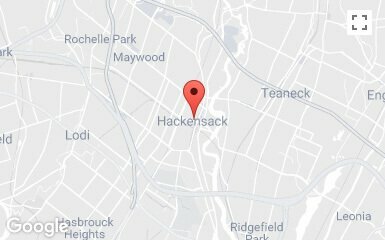 To speak with a DV lawyer who can help today, call 908-336-5008 for a free consultation. The guidance and advocacy you need is just a phone call away. 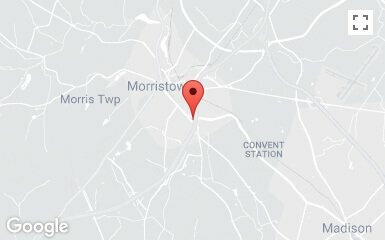 Previous Arrested for Domestic Violence in NJ, Can I get Deported?